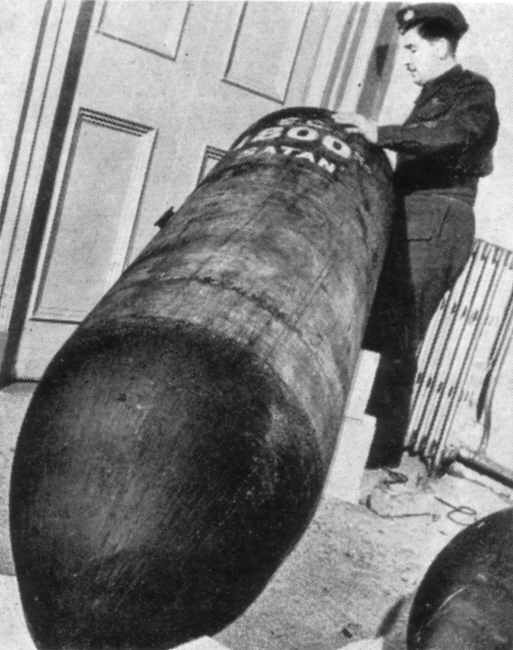 The SC 1800 Satan was one of the largest bombs in the Luftwaffe armoury during the Second World War and the largest regularly used during the Blitz. SC indicates High Explosives, 1800 the 1,800kg (3,968lb) payload and Satan was its nickname. The SC 1800 had a length of 13ft 3in and a diameter of 2ft 3in, and was normally carried by the Heinkel He 111.